There’s loads of new data to cover in this quarter’s analysis, and I’ve saved some of the best numbers for the end of this article too — a massive breakdown of Twitter users — so go grab a coffee and get comfortable before you begin. You’ll find the full set of Q2 data in the SlideShare embed below, but read on beyond that for richer context and analysis. 390 million new users signed up to a social platform in the twelve months to the end of March – that’s 8 percent faster than the same growth trend this time three months ago. The median age of Facebook’s active users is still below 30, but this creeps up each day, especially given the changes among those younger users that we covered above. 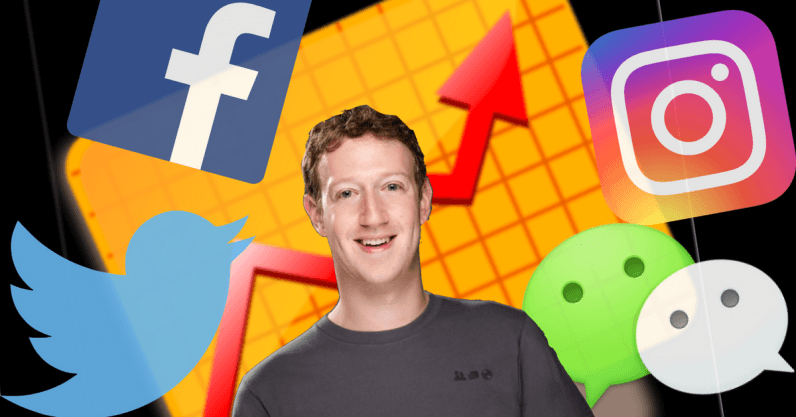 The firm’s data suggests that Facebook reach is falling even faster, with the average page reaching just 8.9 percent of its ‘fan base’ with each post in Q1, compared to an average of 10.7 percent across 2017 – a 17 percent relative drop. The latest numbers suggest that roughly 93 percent of WeChat’s users live within mainland China, which would mean that almost two-thirds of the country’s population now uses the app. Instagram looks set to be the next member of that elite ‘billion club,’ although it likely won’t reach that milestone for at least another few months.